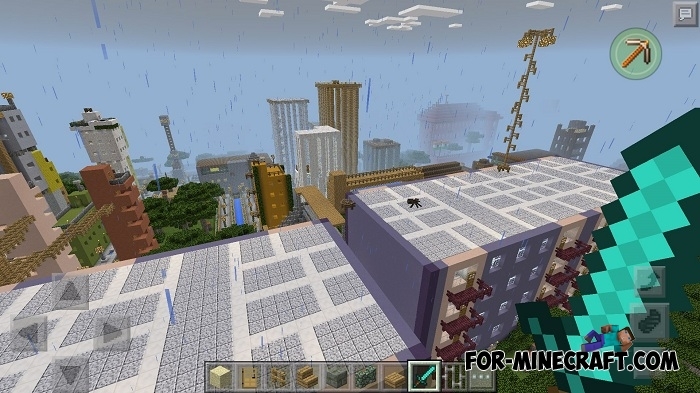 Greenville city is incredibly large map for Minecraft PE 0.16 where you will find yourself in an unusual city. There are a lot of trees in contrast to other cities. The city consists of a hospital, building, residential buildings and even a football stadium. But the important thing is that it has many parks and trees grow up almost next to each house. If you walk through the city you will find very few cars, Greenville city can be called a truly environmentally friendly! If you like unusual city, be sure to download this map!